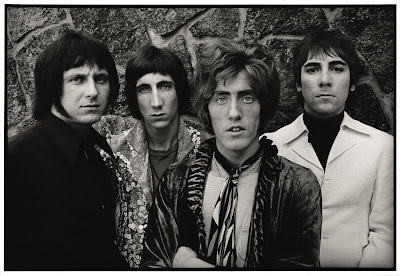 A 1967 photo of The Who, by famed rock photographer Jim Marshall, is among the iconic, original images from the late photographer's portfolio that will be auctioned during "Rock For MS," a one-day-only event July 24 at the Petersen Automotive Museum. Los Angeles, June 24, 2010 /PN/ Some of the most iconic photographs in rock-and-roll history come together with the fun and fast-paced world of slot car racing at the Petersen Automotive Museum on July 24, in the one-day-only ROCK FOR MS event to benefit non-profit MSFriends. As seen through the lens of the late Jim Marshall, widely considered the greatest rock photographer, the rare images to be auctioned are a partial grouping of original prints from a collection held by Nissan North America. They include signed, original photos of the Rolling Stones, Bob Dylan and The Who, along with a series of images that document the behind-the-scenes development of the Nissan GT-R sports car – shot at venues in Japan and at the famed Nürburgring motor complex in Germany, and donated by Nissan. The intersection of rock-and-roll and car culture will also be highlighted during ROCK FOR MS through additional photos of rock stars and their cars from photographers, including Baron Wolman, Lynn Goldsmith and Gered Mankowitz. Moreover, auto racing stars – including British Monte Carlo Rally champion Vic Elford, and Trans-Am champion Tony Adamowicz – will be on hand during ROCK FOR MS to serve as celebrity drivers for races on a dozen slot car tracks that will be constructed with the help of Glendale-based FarrOut Slot Car Racing Club – making it the largest assembly ever of slot car tracks on the West Coast. ROCK FOR MS will be held from 11 a.m. to 7 p.m., with slot car activities and viewing of the photos throughout the day. The photo auction will be held at 4 p.m. Event sponsors include Genentech, Biogen Idec and Jack Daniels. MSFriends has a primary mission: to improve the quality of life for people with multiple sclerosis and their families and friends. MSFriends offers the first 24/7 telephone helpline staffed with people who have MS. To reach MS Friends, call (866) MS-FRIENDS. In North America, Nissan's operations include automotive styling, engineering, consumer and corporate financing, sales and marketing, distribution and manufacturing. Nissan is dedicated to improving the environment under the Nissan Green Program 2010, whose key priorities are reducing CO2 emissions, cutting other emissions and increasing recycling. More information on Nissan in North America and the complete line of Nissan and Infiniti vehicles can be found online at www.nissanusa.com and www.infinitiusa.com.